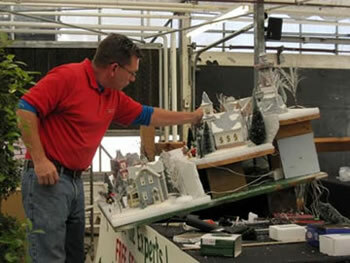 Did you know that Valley View Farms is a Club 56 Dealer – the only one in the Baltimore area? 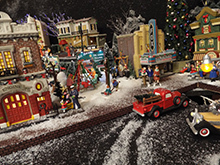 This honorary distinction has been awarded to us for being a leading supplier and having one of the most creative Department 56 displays anywhere. 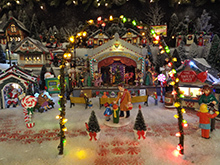 Our display covers EIGHTY magical feet of our Christmas Shop with 10 different themed villages. 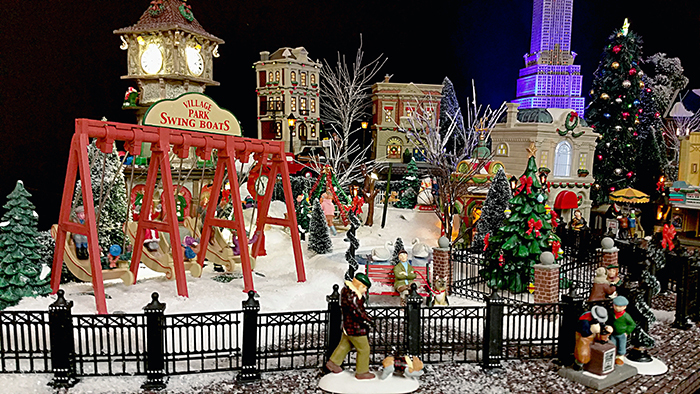 Villages we carry: A Christmas Story, Alpine, Christmas In The City, Dicken's, New England, North Pole, Snow Village, Mickey's Christmas, A Nightmare Before Christmas, Grinch Villages, Christmas Vacation (the movie), Elf (the movie), as well as accessories from Peanut's® Hot Properties!™. 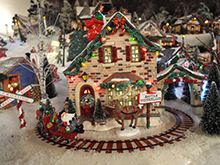 A few years ago, we began carrying some of The Lemax Village Collection of animated houses, figurines, accessories and landscaping. 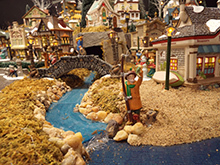 Every year we have add more Lemax because it integrates well with the D56 villages while adding whimsical animation at a very affordable price. 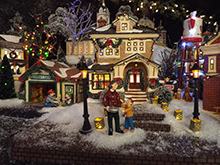 We also carry an extensive collection of lighted, animated and stationary accessories including trees, signs, fences, steps, roads, benches, shrubs, string lights, moss, lighting systems, fake snow, and everything else you need for the perfect display. 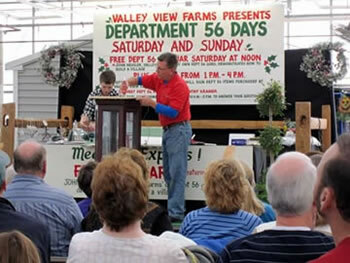 Every year, Valley View Farms dedicates a day to celebrating Department 56. 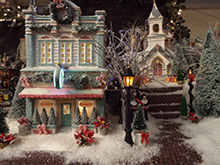 Our resident Department 56 architect, builder, and teacher, John Hessler, will hold a demonstration on how to create a village of your very own. See our events page for details.